For those interested in acquiring in-depth knowledge about virtually every aspect of Armenian life, the Armenian Museum’s Mesrob G. Boyajian Library is an invaluable resource. 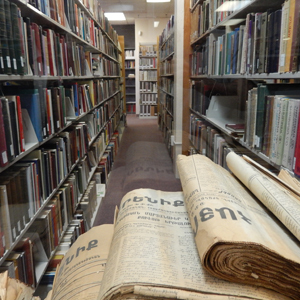 The Library’s over 30,000 titles include an extensive collection of books in Armenian, English and other languages. It also includes periodicals, posters, maps, calendars, sheet music, documents, oral histories, early sound recordings and more, cataloged for use by students, researchers and the general public. The general collection is a research collection of over 30,000 titles that cover all aspects of Armenian history and culture, including religion, philosophy, numismatics, history, immigration studies, sociology, music, art, literature, science, cooking, and other fields of interest. 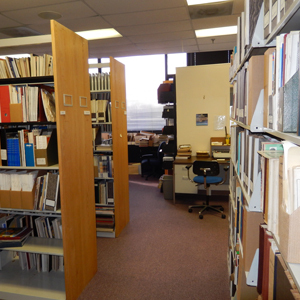 The periodical holdings include over 600 different titles. These materials are all cataloged in the Armenian Museum’s library database using Library of Congress classification, and can be accessed online through a link from our website. The general collection is non-circulating, and its use is restricted to the reading room under the supervision of the staff librarian. General overviews of Armenian history and Armenia today for use by general public and by elementary and secondary level students making school reports. Materials related to the Armenian Genocide for use in secondary and college level research. Other areas in the circulating collection include folk tales, architecture, geography, and cooking. The Library also includes several specialized collections. To learn more about the special collections, contact the staff librarian at 617-926-2562 x 5. The Armenian Museum’s collection includes over 1,000 early printings published before AD 1895. Of these, 170 titles were printed between AD 1512 and AD 1799, including works published by the Vatican, and rare publications from Italy, Amsterdam, Constantinople, Madras, Jerusalem and other Diaspora communities. The early printings are maintained in separate climate controlled vaults. The musuem’s rare books include five copies of the “Amsterdam Bible” printed in the Netherlands in AD 1666, and 1207 gospel book hand-written by a monk in Cilician Armenia. These early works are listed in both the Library data base and the Museum data base. One of the first major projects and one of the Armenian Museum’s’s most important collections is that of the Oral History tapes that recorded from survivors of the Armenian Genocide.These rare interviews, recorded on cassette tape by a team of volunteers led by Bethel Bilezikian Charkoudian, are a unique record of the lives of 287 survivors, preserved for later generations. Although stored in a climate-controlled room, the fragility of the tapes (the act of playing them can create deterioration) limited their use and access. The use of the tapes was confined to academic researchers and families of survivors. In 2005, the oral history interviews were digitized by Cambridge-based TechFusion, Inc., preserving these interviews for posterity and making them available for use without destroying the original recording. The Armenian Museum of America also houses 1,019 oral history tapes originally recorded by the Armenian Assembly of America, which were part of a project conceived and promoted by The Armenian Museum of America. The copies of the Assembly tapes were provided to our museum in exchange for copies of the original oral history tapes previously provided to the Assembly.The Armenian Museum has digitized the copies of the Assembly tapes to facilitate access to these interviews. The Library is home to the Herbert Offen Oriental Carpet Research Library Collection, one of the most extensive collections of literature on oriental carpets in the United States. The Offen Family’s generous gift includes both the books from the Herbert Offen Family Collection, as well as from funding of acquisitions of new, recently published and antiquarian works related to the literature of rugs and carpets. The Herbert Offen Family Ccollection of over 2,500 volumes extends beyond the narrow focus of the types and development of Oriental rugs, and encompasses broader issues including the social implications of rug collecting, symbolism and theory, care and aesthetics, the commercial marketing and business of rugs, economic and domestic structures in carpet production, historical and contemporary use of rugs, and other textile traditions closely related to rugs. The research library includes all published works related to Armenian carpets, as well as an extensive range of works on all types of rugs of the Middle East and related artistic traditions. The collection is also home to many rare works of the late 19th and early 20th centuries, when oriental rug studies began to emerge as a distinct discipline. For further assistance, contact curator Gary Lind-Sinanian at 617.926.2562 ext.5. 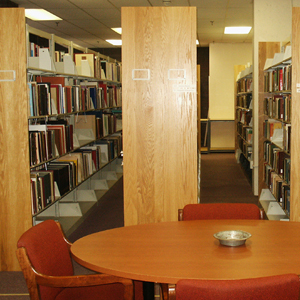 The Herbert Offen Genocide Research Collection includes studies of the Armenian Genocide, survivors’ accounts, international documentation, literary works inspired by the Genocide, Turkish denial literature, studies of the general theory of genocide, diplomatic and missionary eyewitness accounts and a wide range of other materials to assist researchers. Together with the oral history accounts and other related materials, it provides a unique resource for genocide studies. Acquisitions for the Genocide research collection has been made possible through the support of the Offen Family and generous contributions ofthe Armenian Museum Trustees. The Library also includes several thousand small pamphlets, catalogs, brochures, fliers, ephemera and other printed materials on a vast range of subjects. These often obscure materials offer unique insights into community life (e.g. by-laws of organizations, school yearbooks, political polemics, banquet program books). Contact the staff librarian for details at 617-926-2562 x 5. The Audio Collections include over 2,000 shellac 10” 78 rpm recordings from 1920-1950, over 600 12” LP discs in their original jackets, and smaller numbers of audio cassette tapes. The Visual collection includes over 300 recordings of Armenian movies and documentaries in VHS or DVD format. Given the fragility of the phonograph records, the museum is currently transferring the sound recordings to digital format to make them accessible for research. The Library houses Armenian sheet music and ephemera. The photograph collection, maps, posters, prints, and archival materials, though housed in the Library, are classified as part of the Museum collection, and researchers should consult the Museum curator at 617-926-2562 (extension 5). The Mesrob G. Boyajian Library is located on the 4th floor of the Armenian Museum’s Mugar building. The library is open on Fridays 1 pm-5 pm. Please inquire in advance at (617) 926-2562 x 5 to schedule research/study sessions during other hours.